Church Unity has been on my mind again. In fact, the topic came up again in a conversation I had with my mentor last week. We experienced a “split” at my church a few years back and I believe a lack of unity was a leading contributor to the problems at that time. The link I’ve provided below leads to blog post from Thom Rainer whose site is in my blogroll. I feel compelled to repeat the post from 2015 because unity in the Church universal and in our local congregations is never an out-of-date subject. I realize that I need to keep being reminded how Satan can tear at the fabric of our unity and rip a church family apart. Unity in the church begins with love. Here’s the intro to that 2015 blog on The Fruitful Life and the link to Thom’s blog. 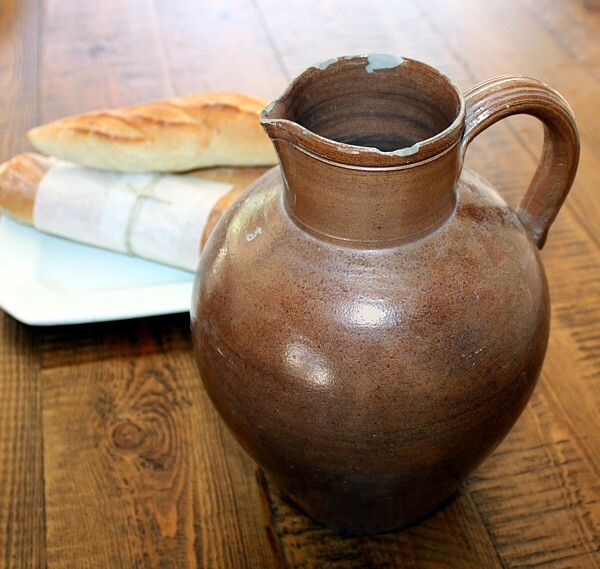 Thom Rainer blogs every day about leadership in the church. Many times his topic is meant for the whole body, not just leaders. That’s the case with this post. I felt compelled to share it, because when we consider our membership in a local church, it should be apparent that in some way, we are all leaders. Jesus meant for us to be examples reflecting Him in the world. Mr. Rainer has many years of experience in church leadership and assisting churches revitalize and deal with change, something the Church needs today. His posts are always thought-provoking for me. I hope you’ll find this is true for you and that his words will bring answers if needed and most certainly, hope. 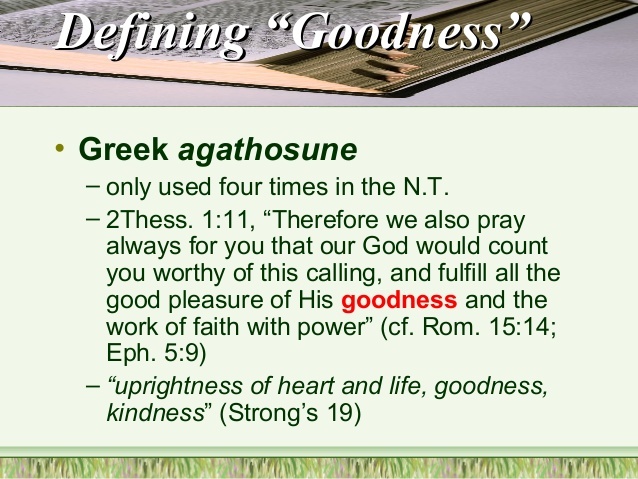 If agathosune is “uprightness of heart and life,” perhaps I’m better off letting others make the judgement call. After all, Jesus, in his deity, gave all goodness to God alone. 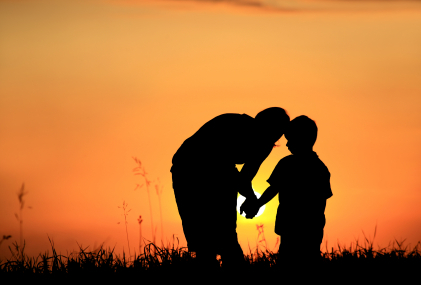 He could have claimed it, but in his humility, he glorified his Father. As I continue to learn about how the Holy Spirit works in me to produce fruit, definitions from several sources help me to understand. I’m glad that Easton’s dictionary uses verbs like choosing and following because it implies that I must be aware of what’s going on around me. I also appreciate that, to be considered “good,” I must be deliberate, firm, and persistent. Indeed, Mr. Easton, being “good” is not a mere passive quality. The Spirit leads; I listen; I obey. 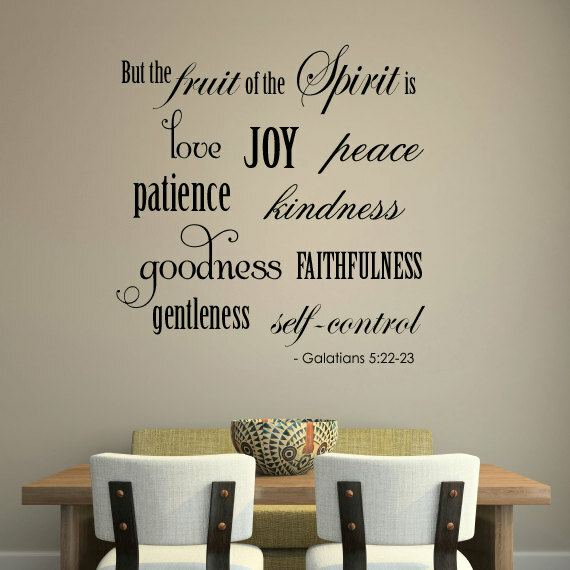 Ultimately, the fruit of the Spirit called “goodness,” like each other fruit, is defined by the Holy Spirit himself as he works in us to make us “good.” With the Spirit working in us, we’re able to live a fruitful life. We Love, we exhibit Joy and Peace, we act with Kindness, and we can be Good. We don’t need to work at creating the fruit of the Holy Spirit. God has given His Spirit so that we’ll be filled with the fruit and exhibit the fruit by grace. As we follow Jesus and are obedient to Him, we naturally bear fruit just as a tree blossoms, then produces fruit. The tree doesn’t strive. It does what it was created to do. When we become the new creation, the Spirit works in us. So then, we don’t have to work. If by God’s grace we are given these things, it’s a comfort to know that He is growing us up in Love. 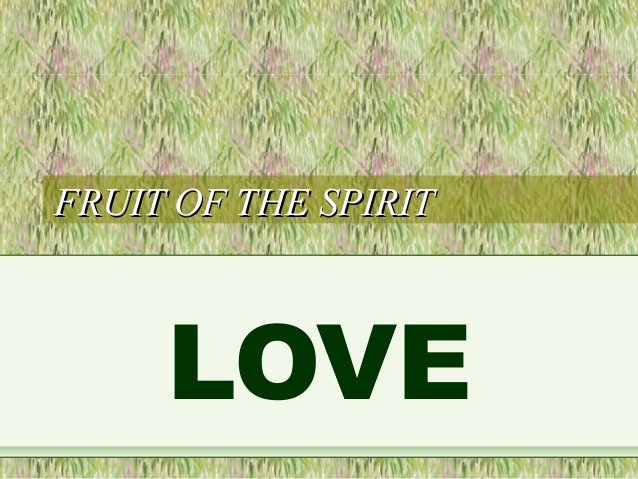 The “fruit of the Spirit” means just that. Living the fruit produced in us is contrary to living the “fruit of man.” Yes, that should actually be a comfort to us. But be alert. Keep your eyes on Jesus and your heart tuned to the Spirit. Then Love will come more naturally than if you were to go it alone. Many years ago when my children were small, I found this little treatise on parenting. I wanted to save it and keep it somewhere I could see it as a reminder. The craft of decoupage was popular then, so it ended up on a piece of wood. That piece of wood with the message is gone. But I made sure to copy and save in electronic form what you see below. I know I didn’t parent perfectly then and I struggle even now as a mom to grown children. There’s always going to be some baggage, I suppose. I carried some of my own. But surely, one can hope. When children live with criticism, they learn to condemn. When children live with hostility, they learn to fight. When children live with ridicule, they learn to be shy. When children live with shame, they learn to feel guilty. When children live with tolerance, they learn to be patient. When children live with encouragement, they learn confidence. When children live with security, they learn to have faith. When children live with fairness, they learn justice. When children live with praise, they learn to appreciate. When children live with approval, they learn to like themselves. When children live with acceptance and friendship, they learn to find love in the world.